Kreayshawn doesn’t look like she’ll be going anywhere any time soon. The San Francisco native is not too far away from releasing her debut, Somethin ‘Bout Kreay and just recently the full tracklist has made its way onto the web. The 13-track effort contains her huge hit Gucci Gucci, the 2 Chainz-featuring Breakfast (Syrup), and her latest single, Go Hard (La.La.La), as well as contributions from Kid Cudi, Chippy Nonstop, Jean Baptiste, V-Nasty and Diplo. Kreayshawn says the project will offer different sounds, including influences from her native Bay Area, as well as bounce music from New Orleans. 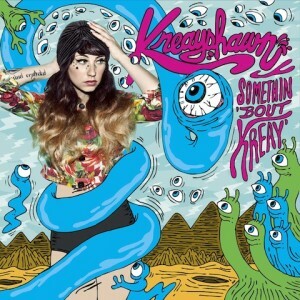 Somethin ‘Bout Kreay drops September 18th.